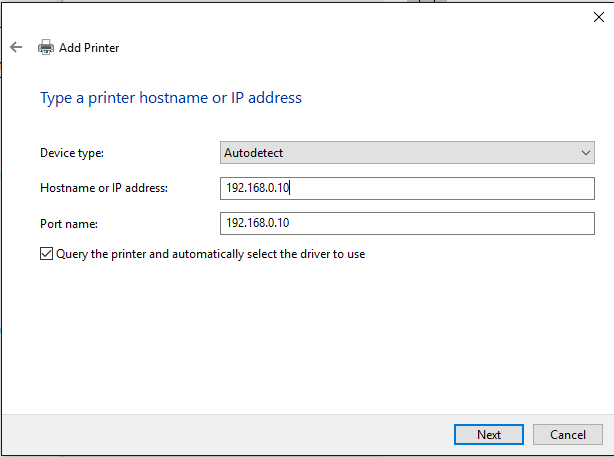 Browse to the Add Printer area of your computer. This can vary depending on the Operating System, but generally you will click Start or the Window button in the lower left hand corner of your screen (in Windows). From there you should be able to access Settings, Control Panel, or Add Printer. Any of these options should get you to where you can add a printer. 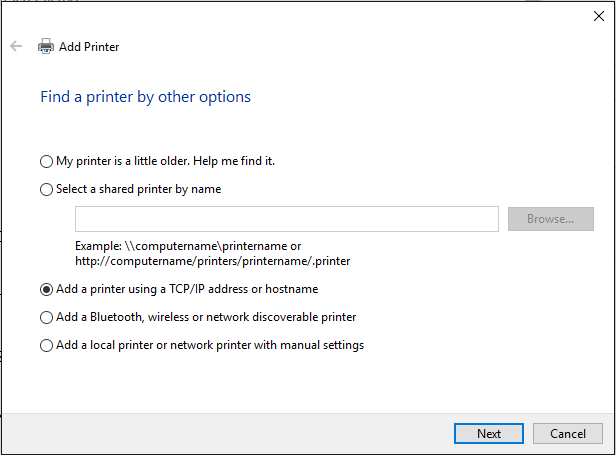 If your computer doesn't find the printer automatically, you will need to add it manually. After hitting next your computer should communicate with the printer and install the correct driver. Remember to select 'Do Not Share' when prompted.